This remnant of the Second Temple is an important symbol in Judaism. Tisha B’Av is a day of mourning and despair, but within the sadness of the day there is also a message of hope. That message being that despite much suffering, the Jews will survive and be redeemed as promised by the prophets of old. 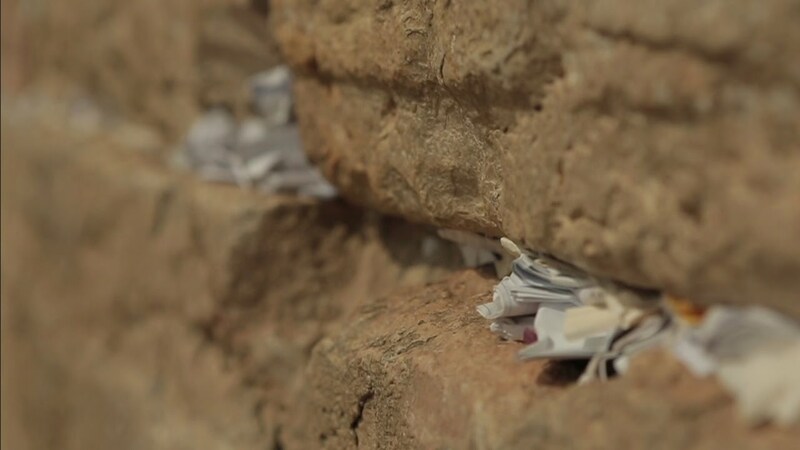 That message of Tisha B’Av is conveyed in the history of the Western Wall. The Byzantine emperor Constantine adopted Christianity in the early part of the fourth century. Upon the defeat of the emperor of the east, Licinius, at Chrysopolis on September 18, 324 C.E., Constantine became ruler of the Holy Land. Constantine built churches throughout the land and strongly encouraged the proselytism of Jews. It is theorized that Constantine enacted anti-Jewish laws. (See The Jews Under Roman and Byzantine Rule: A Political History of Palestine from the Bar Kochba Revolt to the Arab Conquest , page 165.) He also reinstated legislation of the Roman emperor Hadrian 117-138 C.E. Following his suppression of the Bar Kochba Revolt (132-135 C.E. ), Hadrian enacted laws that prohibited the entry of Jews into Jerusalem or the surrounding region of Judea. Over time those laws remained on the books but were not enforced by all emperors; many allowed Jewish pilgrimages on the holidays. Constantine reinstated those laws, but with some changes. Jews were again permitted to reside in Judea. In addition, he also allowed the Jews to enter Jerusalem and pray at the Western Wall on one day annually — Tisha B’Av. Being the last standing wall surrounding the Temple, the Western Wall already possessed a special significance to the Jews. Perhaps the emperor permitted the Jews access to the Western Wall on Tisha B’Av so they could revel in their sufferings and misery; maybe he had the notion that such thoughts would lead them to apostasy. But the sight of the remnant of the Temple gave the Jews hope and a sense of resolve rather than weakening them. They saw it as a sign of strength and took solace upon their annual opportunity to visit the site of their beloved Temple. The Talmudic sages of that era spoke of the special and eternal nature of the Wall. Rabbi Acha stated that the Shekhinah, special Divine Presence of God, will never depart from the Temple’s Western Wall. The Midrash cites a quote from Solomon’s Song of Songs, “Behold, He stands behind our wall” (Midrash Tanhuma Exodus, 10; Song of Songs; Exodus Raba 2:2). The Temple was destroyed, but a part remained. The Western Wall served as a reminder that the Temple could never be totally destroyed. The hope for its rebuilding remained strong in that era and over the centuries. The seemingly minor changes in the laws by Constantine allowed the Jews some solace and inspiration on their day of mourning. Reprinted with permission from The Jewish Holidays: A Journey Through History (Jason Aronson).